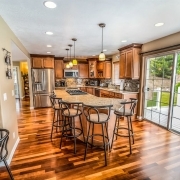 At Absolute Appliances Repair, we know our fair share about the best and brightest appliances on the market. 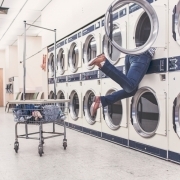 We understand the importance of, not only replacing appliances when they need replacing, but of choosing brands you can trust so that you’re not overspending or replacing appliances again and again before you should need to. 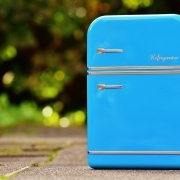 If you’re looking for a new fridge, stove, dishwasher, washer, or dryer, here’s a list of the top rated appliance brands of 2018. In the United States, Whirlpool is a go-to appliance manufacture for everything from washers and dryers to kitchen gadgets. The company is global but has their head office based in Michigan and employs over 92,000 individuals from around the world. Whirlpool is recognized as a leader in home appliances and is the parent company to several other appliance providers such as Maytag, KitchenAid, and Amana. As of this year, Whirlpool has had the most sales and least required machine servicing compared to other appliance providers. 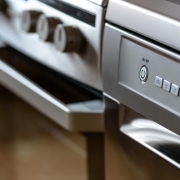 While we at Absolute Appliance Repair won’t choose a favorite in terms of branding, we certainly can’t find fault in Whirlpool, their high standards, or the quality of their craftsmanship. The brand stands for “Life’s Good”, and they offer a variety of products, including not only home appliances, but also mobile and tech gadgets. From the refrigerator to your cell phone, LG has got you covered, and has become a name for low-maintenance and high-quality products. After Whirlpool and their many children companies, LG takes the cake in terms of products sold and need for maintenance or servicing. The LG style standard seems to lean toward modern simplicity with a luxurious feel. Stainless steel and smooth lines are the 2018 line’s signature look, although you get more than looks when you buy an LG. 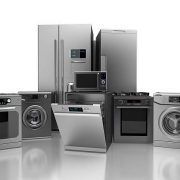 Again, we at Absolute Appliances Repair try not to pick favorites, but if it came down to an LG and a lesser brand, we recommend paying just a little bit extra to avoid needing constant servicing in the future. 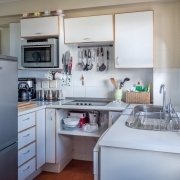 A leader in kitchen appliances, Frigidaire provides stoves, refrigerators, dishwashers and microwaves, along with laundry tools such as washers, dryers, and 2 in 1 centers. Frigidaire is the third least serviced brand of appliances in the United States with a high sales record and a large fan following. When it comes to brand loyalty, those who use Frigidaire are very serious. They may not offer as many bells and whistles or additional electronics as brands like LG, but what they do make, they make well. You can check out their supply online, and gain access to their owner support center, for help with any machine issues that may arise. 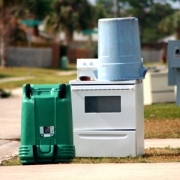 For more information on our repair services, contact us at Absolute Appliances Repair. Our experienced staff are happy to hear from new and returning clientele, and we’re always ready to answer any questions you might have and offer a reasonable quote on work that needs to be done. Don’t let your appliances become outdated and unusable, contact the experts today and we’ll help keep your appliances working like new.